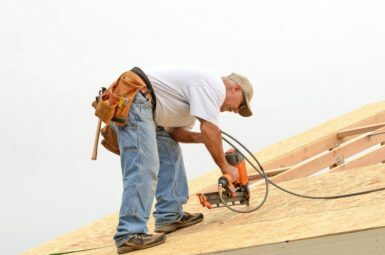 As your residential roofing company, Daech & Bauer Roofing can provide precise repairs or a full roof replacement – whatever your home in the Collinsville, Illinois area requires. We’ve completed more than 10,000 projects in the area, and our passion for roofing is shown in the personalized service we offer. We focus on providing a total roof system that resists water intrusion, is durable enough to withstand inclement weather, and has the ventilation needed to prevent potentially damaging heat and moisture buildup. And, once your insurance provider has provided the compensation you deserve, our roofing technicians will use products from trusted manufacturers such as Owens Corning™ and CertainTeed to ensure that your roof receives the repairs it needs. When the job is complete, we will back our work with a five-year workmanship warranty. Contact Daech & Bauer Roofing today to see for yourself why we are a residential roofing company that homeowners in the Collinsville, IL area count on for all of their roof repair needs.